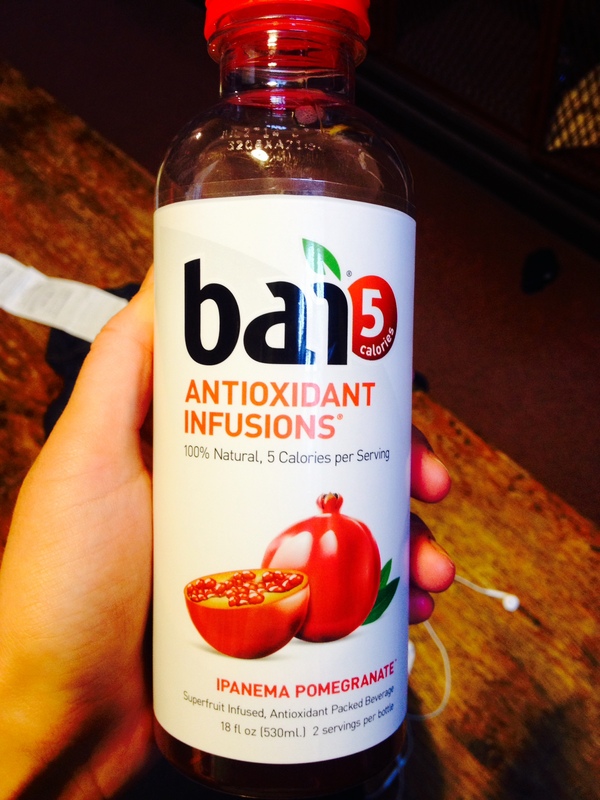 Bai 5 has only 5 calories per serving (and only 1 gram of sugar)! I thought that with the low calorie/sugar count that the drink would have a light or non-existent flavor, but I was definitely wrong. The drink has a rich pomegranate flavor and makes for a great thirst-quencher. It’s also packed with antioxidants 🙂 Check out Bai drinks here. 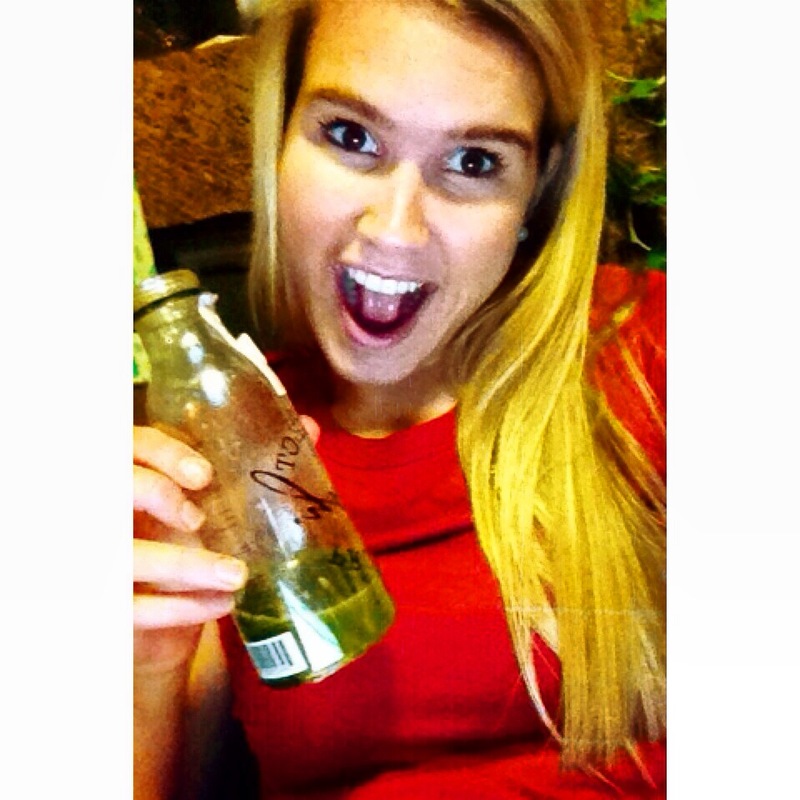 Yes, I did take a selfie with kale juice. Kale juice is one of my faaaaavorites. It’s a great way to get your greens in (in a liquid form)! The juices are sold at markets like Whole Foods, but if you’re looking to avoid the $7-10 per bottle cost, you can make your own! 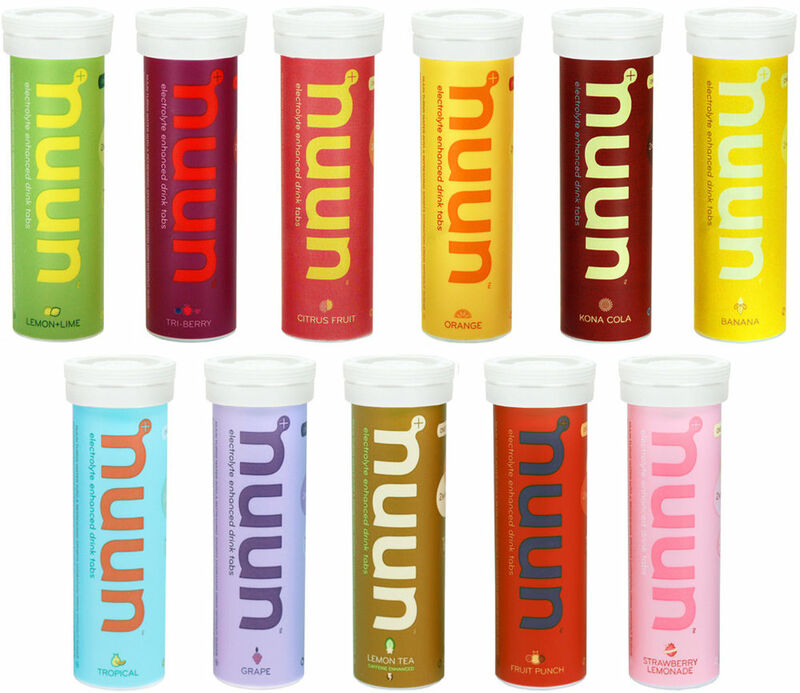 Nuun is a great low-sugar electrolyte enhanced beverage, and comes in a ton of flavors. Each tab dissolves in water and is less than eight calories. They also offer products to put into your water bottles to make you drink more water throughout the day. I like drinking Nuun during tris! Check out all the Nuun products here. 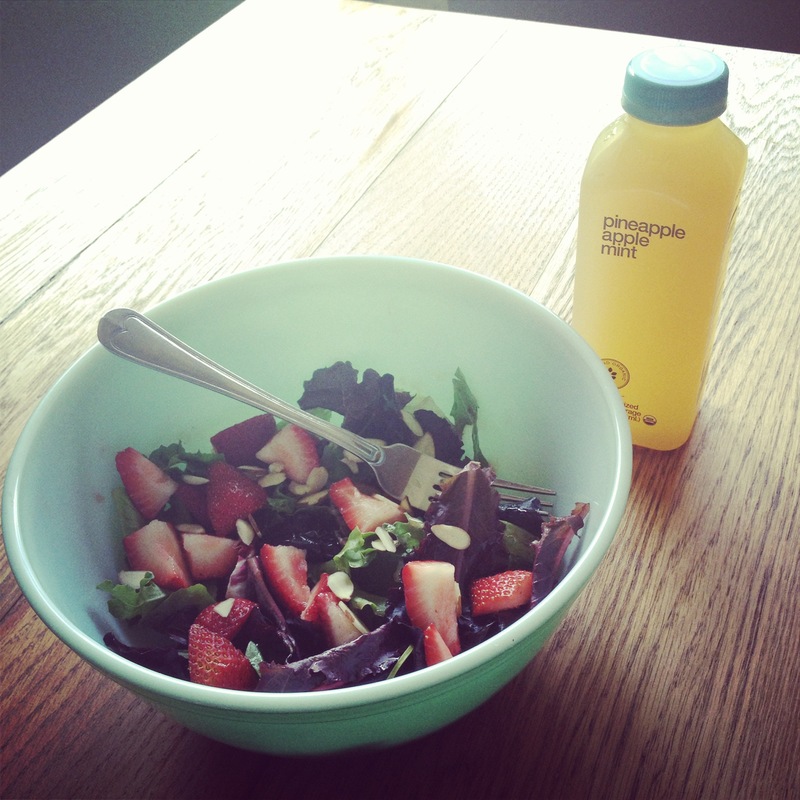 Love pairing blueprint juices with salads! Blueprint juices are so yummy & flavorful. I try to zip over to Whole Foods as much as possible while at school to stock up on them in my fridge! You can do a cleanse with the juices (check out my review of the 3 day cleanse here), pair them with a meal, or drink them on their own. Some of the flavors include pineapple apple mint, beet, and orange grapefruit. (There are lots more that you can check out here). What are your favorite low-cal hydrating & replenishing alternatives to water?